Each month, we showcase a company that uses Chainpoint. This month, we’re doing something different by featuring an open source project. Developer Russ Michell has created a module for SilverStripe that makes it simple for developers to anchor data and documents to Bitcoin. We talked with Russ about his project and his experience working with Chainpoint. SilverStripe Verifiable is a configurable content verification module for SilverStripe applications. It lets content authors and developers use Chainpoint to create a timestamp proof for any content element. Chainpoint allows software developers link data to the blockchain. 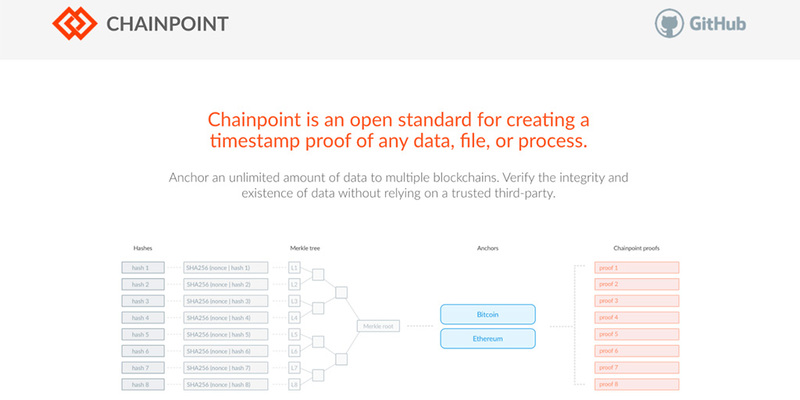 This process generates a Chainpoint proof, which can be used to prove the data is linked to a point on the chain — hence the name Chainpoint. If you’re a software developer, you can learn more about Chainpoint by visiting the Chainpoint web site or GitHub repo. Follow @chainpnt on Twitter.